Sign up for Broadjam today to follow Lives Of The Deceived, and be notified when they upload new stuff or update their news! This is our single off our self produced demo "Driven"
Lyric Credits David Sambola Jr.
Music Credits David Sambola Jr.
Producer Credits David Sambola Jr. Publisher Credits David Sambola Jr. Performance Credits David Sambola Jr.
Label Credits David Sambola Jr. 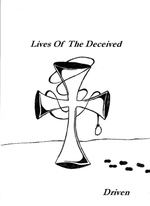 Thanks for supporting Lives Of The Deceived! Would you like to help Lives Of The Deceived get heard by industry pros by buying them a song submission credit to Broadjam Music Licensing Opportunities?